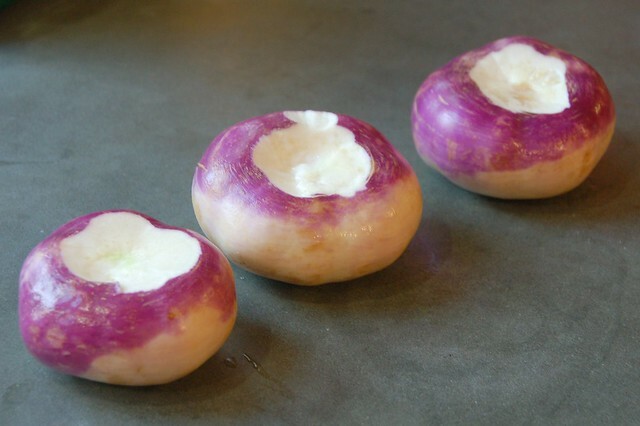 Turnips are one of those vegetables I had to learn to like. And I admit that I did not even try until our CSA forced my hand by including them in box after box last winter. But now, I am a convert! There are many different varieties and they're delicious braised, thinly sliced, raw in salads, and roasted. And leave it to the dearly departed Gourmet to posthumously provide yet another delicious way to enjoy them - a turnip gratin. You'll find that this preparation gives the turnips a lovely light sweetness that pairs really nicely with the cream and Parmesan cheese. This is a perfect dish for a cold winter night. I served this with a venison-bork (that's a mixture of beef and pork) meatloaf, baked potatoes and salad. So good! 4.Cook, covered, over medium heat until underside is browned, about 10 minutes. Add cream and cook, covered, until center is tender, 20 to 25 minutes. One great thing to add to this recipe that I always did (courtesy of having once been married to a chef). 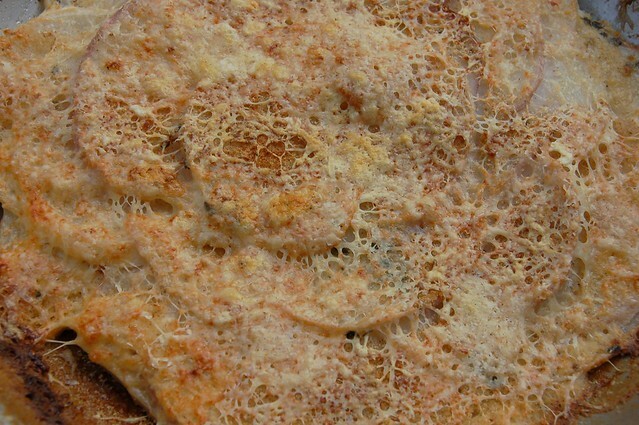 I would put the slices into a bath of hot milk and water with garlic pieces and simmer it for a few minutes to par-cook. That takes that funky sharp taste and adds a great undercurrent of garlic flavor to the dish, too. 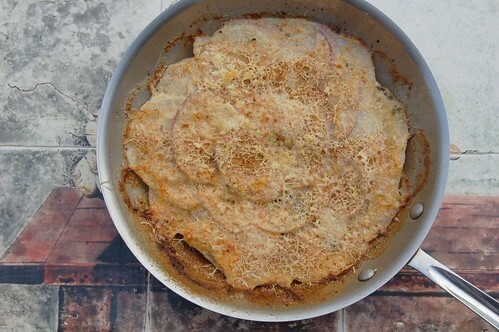 Also, rutabaga works beautifully too and makes a tasty side dish for a ham dinner.